Why is the Florida Manatee Endangered? manatees remaining in US water. 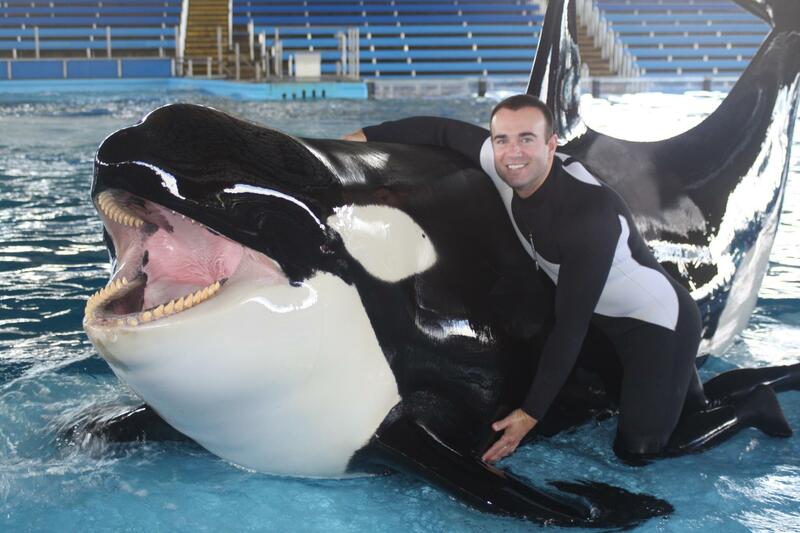 As a marine mammal species, they are legally protected by US national law under the Marine Mammal Protection Act of 1972, which prohibits any killing, capture, or inhumane harassment of these gentle giants for any purpose (SeaWorld). Many manatees often fall victim to boat collisions.The first situation behind why manatees are endangered is due to boat collisions. 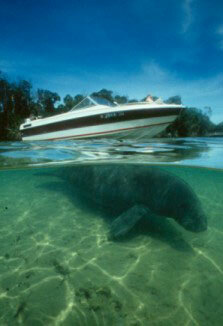 In 2010, a total of 83 manatees were killed by boat collisions throughout the state of Florida (FFWCC). This is because manatees have to go up to the surface in order to breathe air once every 10-15 minutes or else, they may drown. Another reason why boat collisions kill manatees is because they are slow moving animals. When a boat approaches, a manatee may have very little, or no time to escape the passing watercraft; thus, making it very vulnerable to the boat’s hull or propeller as it moves through shallow water (Rao, and Kimerly). In many cases, most manatees die from their injuries associated with these brutal collisions. For the very few animals who do survive these incidents, the scar patterns end up becoming the main method off identifying individual manatees when conducting a survey on them. In a 12-year-old study, researchers concluded that manatees continued to travel to the same feeding or breeding areas regardless, of the number of boats that were present in these areas. However, the use of sanctuaries by the animals did increase for, these areas provide a safe haven for them when it comes to feeding and reproduction purposes (Rao, and Kimerly). Entanglement can cause permanent injury to manatees and other wildlife. 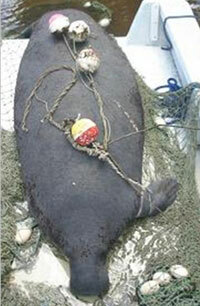 The second situation behind the endangerment of the Florida manatee is entanglement in fishing gear. Just like dolphins and sea turtles, manatees can easily get themselves entangled in fishing line while feeding. This is because manatees feed by grasping their upper lips and flippers on to aquatic vegetation. There hooks and fishing line get discarded after getting entangled in aquatic plants that the manatees feed on. As a result, the manatees, consequently, either swallow or get themselves entangled in fishing gear around the flippers or tail (Save the Manatee Club). Sometimes, the hooks can end up in the lips, mouth and internal organs of the animals too. 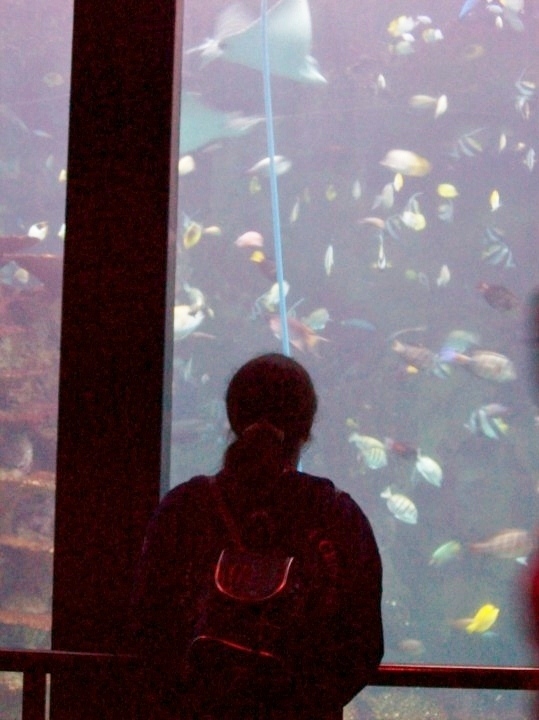 Entanglement can lead to infections, long-term injuries, and even death. 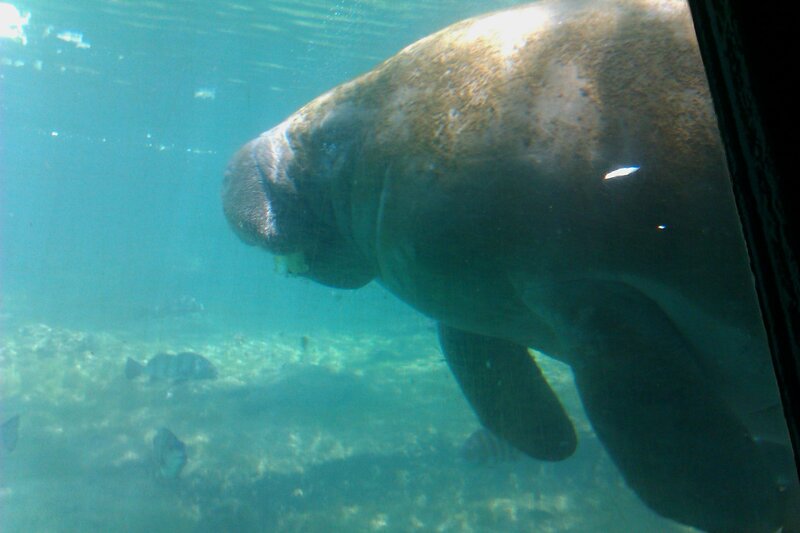 Manatees can also get themselves entangled by crab traps, thus, causing a huge problem for the marine mammals. The manatees find themselves entangled in ropes that connect traps to small buoys at the surface. Despite their small size, these traps contain heavier weight than hooks and fishing line, that, they can cause more server injuries. In many cases, the manatees end up drowning in the process. But for those who do survive, they have been sighted dragging the heavy dragging these traps for several miles before dying from an injury-induces infection. During the Winter months, manatees are often seen residing near power plants and springs. 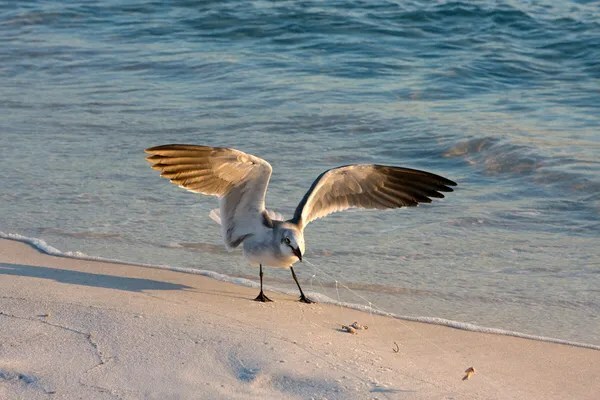 winter time since there are a very few natural refuges that still exist within the state of Florida. These artificial refuges, which are located near seaside power plants, are small in comparison to natural refuges (DRC). 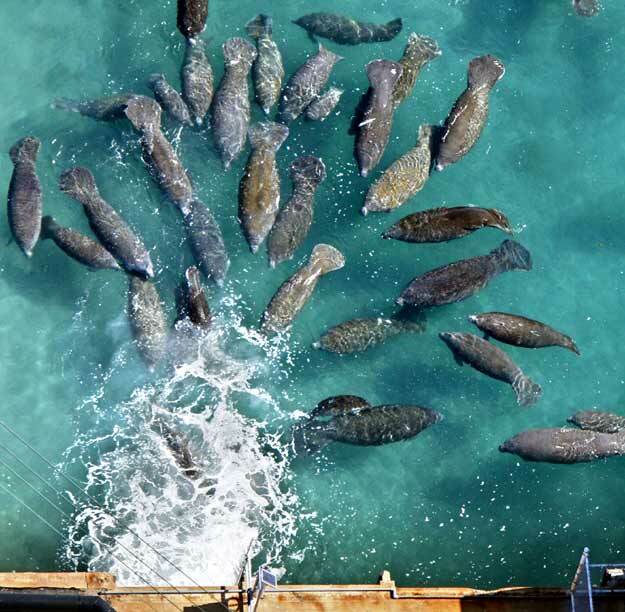 As a result, manatee colonies overcrowd these tiny refuges that, it has been known to increase the spread of disease among the animals, and effect red tide locations. Because artificial refuges are run by power plants, these businesses are at risk of shutting down permanently. If these power plants were to shut down, then, the refuges they run would be to cold for the manatees to stay during the winter months, because power plants keep them warm throughout the winter months. This can result in a phenomenon called “cold-stunning”, which is a form a hypothermic reaction when manatees are exposed to cold water temperatures for a long period of time. Zoological facilities like SeaWorld and the Lowry Park Zoo continue to rescue and rehabilitate sick, orphaned, and injured manatees in trouble each year. Despite the threats that have caused Florida manatees to remain on the endangered species list, there has been a number of efforts to protect manatees and their habitats. In the case of the boat collision issue, the establishment of manatee sanctuaries has made it possible to reduce boat activity on manatee populations by allowing a small number of boats and tourists in critical manatee habitats, especially during holiday weekends and vacationing seasons (Rao, and Kimerly) . At the same time, observation by biologists has increased to monitor all manatee/boat interactions in hopes to prevent future collisions. To prevent entanglement in manatees, fishermen should avoid fishing in areas were manatees and other marine mammals are known to feed, breed, and raise their young. They should also not dispose any fishing gear in the water, because then, manatees, and other marine animals can easily get entangled in them (NOAA). Even a small amount of gear can lead to injury or death in a manatee. Finally, in the case of habitat destruction, there has been some effort to establish manatees sanctuaries and prevent further development in newly declared wild places. This does include some coastal areas that are declared as a sanctuary (Save the Manatee Club). 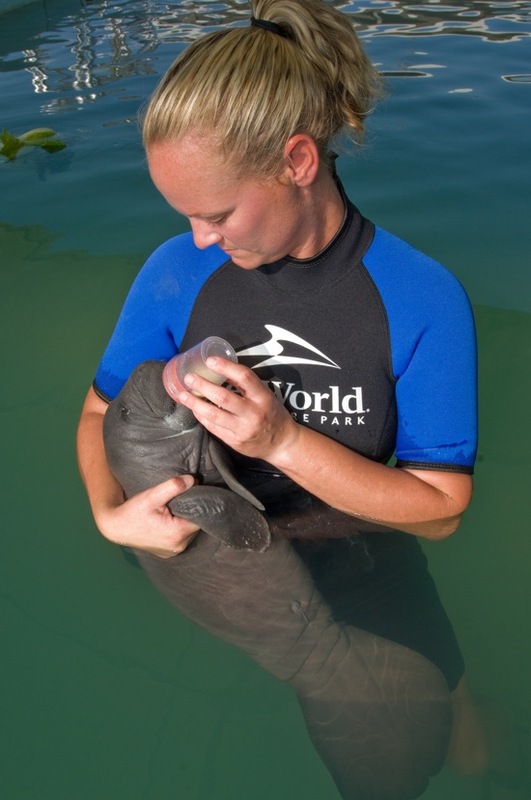 In response to the high mortality rate in manatees, zoological parks in Florida that are authorized by the US Fish and Wildlife Service to rescue troubled wildlife have put in a series of efforts to rescue and rehabilitate sick, orphaned,and injured manatees. In one year alone, one marine life facility rescued a total of 13 manatees, while six were released back into the wild (SeaWorld). With conservation efforts continuing, there is hope that the Florida manatee will be saved from extinction. Back when my parents where in grade school, the Jacques Cousteau specials, the original Mutual of Omaha’s Wild Kingdom, The True Life Adventures, and Flipper where among the biggest TV shows and documentaries that captivated the American public with their ability to connect people to the natural world the beauty and power of nature that could not be seen anywhere else. In fact, some of these popular shows like Flipper went on to encourage sympathy towards the public over certain animals that were once considered to be either pest or simply, dangerous. 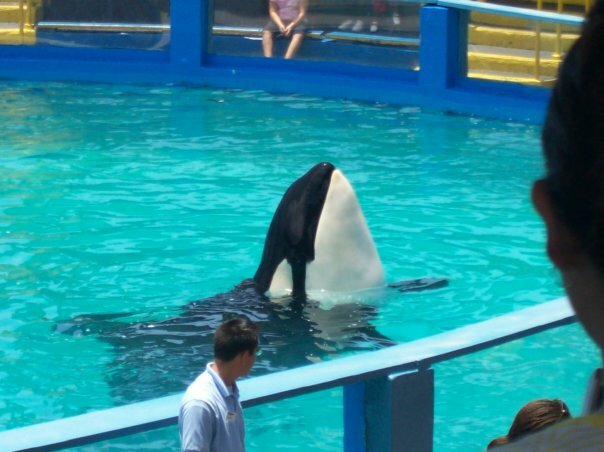 As time went on in years after the last Flipper show ended, these shows and documentaries would go on expose the problems that animals were facing out in the wild like habitat destruction, poaching, and over-fishing, issues that may have inspired the first environmental groups of the 60’s and 70’s to be established in hopes to encourage the public to take responsibility for environmental wrong doings and start caring for the planet and it’s wild places and inhabitants. 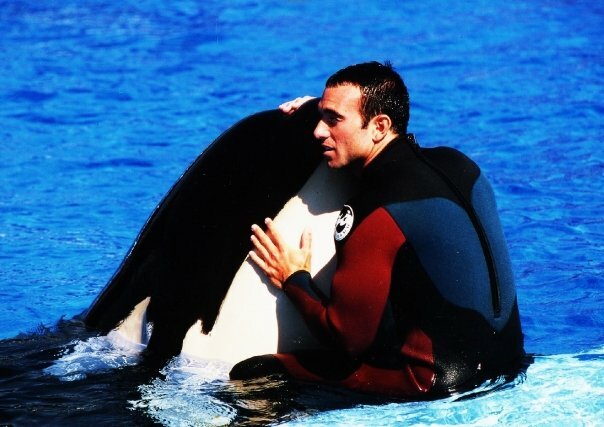 In the United States, such movements and public concerns about various animal issues had led to the establishment of three federal laws (The Animal Welfare Act, The Endangered Species Act, and the Marine Mammal Protection Act), all of which are dedicated to protecting animals and their habitats. 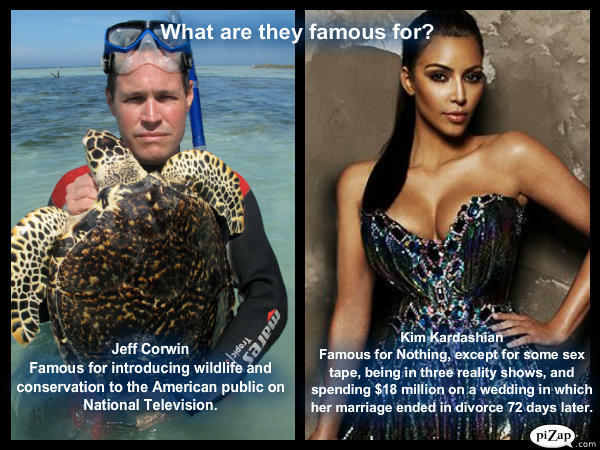 Today, in this ever changing world where celebrities like Snooki, Heidi Montag, the cast of Teen Mom and the Kardashians continue to make headlines thanks to “being famous for being famous”, there are some amazing people from all walks of life who strive on making a difference and follow the footsteps that the late Steve Irwin has left behind and become “wildlife warriors” in their own right. Making a difference involves a little love and passion. 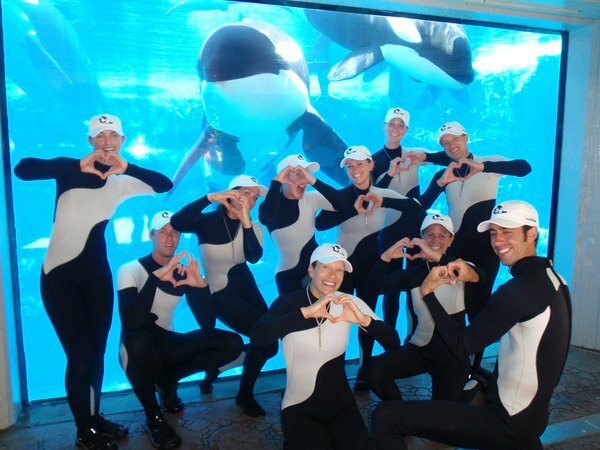 Just ask these SeaWorld trainers. Why wildlife heroes? 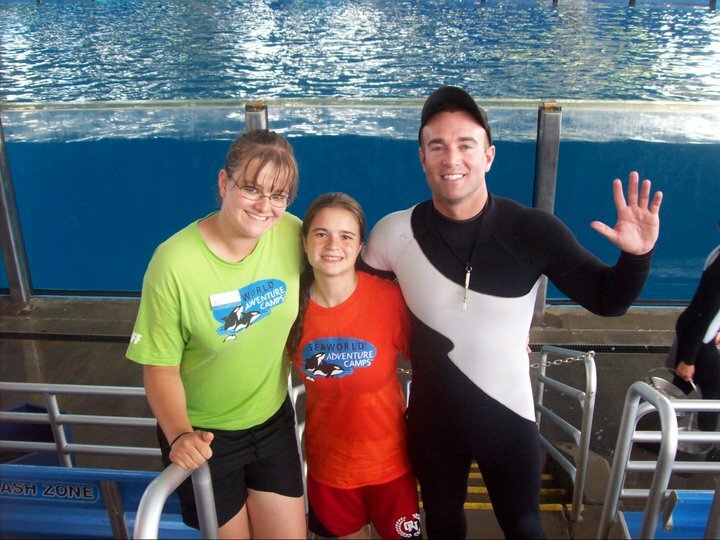 It’s because these people (Julie Scardina, Jeff Corwin, Dyan DeNapoli, and SeaWorld’s Animal Rescue Team, ect.) continue to make a difference in every shape as well as on every level. Some of these people, like Julie Scardina for example, continues to educate the public on wildlife by showing off some of her fellow animal ambassadors on a number of TV shows while talking to her audience about each and every one of them. Meanwhile, veterinarians like Dr. Chris Dold, along with SeaWorld’s animal care rescue work around the clock to care for sick, injured, and orphaned animals in need of rehabilitation which can last from several weeks to several years depending on the individual cases while trainers like Abby Stone, Laura Surovik and many others thrive on welcoming visitors of all ages to experience animals up close and personal from the comforts of a zoological setting where the experience is a fun, safe, and educational experience even though the trainers know all the risks of working with various animals such as killer whales. And Finally, there are conservationists like Dyan DeNapoli and Diana Reiss who continue to study and understand the incredible world of animals for as much as we know about popular species like penguins and dolphins, there still so much we have yet to know and knowing more about them is one of the ways that would save them from dying out. In the end, these people may not get a lot of press comparing to their famous counterparts, but they continue to inspire us all on every level to love and appreciate wildlife and most importantly, make a difference on every level. So why idolize Snooki or the Kardashians when there are people who truly make a difference everyday?